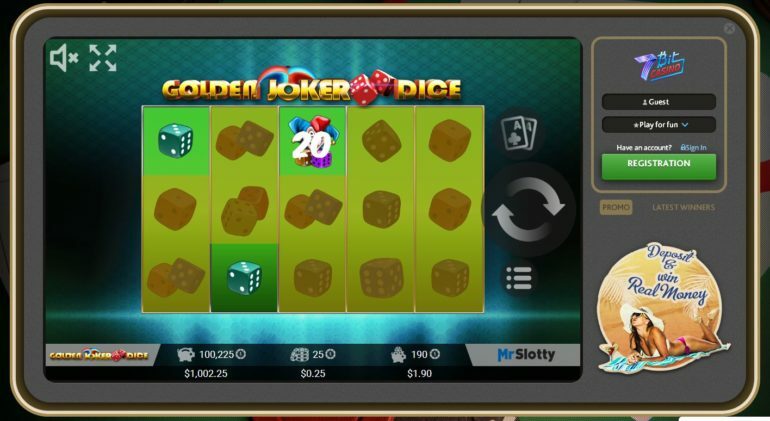 7BitCasino Dice Games Review – Scam or not? Today we will be looking at 7bitcasino.com you wouldn’t have many options compared to any other online casino websites out there today. They have daily Tournaments, Bonuses and a lot more! They do however have a very short list of Dice games that you would not find hard to choose from. Let’s look into what they have to offer when it comes to Bitcoin Dice games. A very common game that is scattered all around the online casino world! You would always instantly find this game listed in any website as it is probably the most common of them all. You, of course, start the game by just clicking on the “BUY” button located on the right side of the game screen. This would then give you a fresh ticket to scratch on. You can also press “SKIP” if you do not like the card number. Every card has their own unique card number; some people have preferences when it comes to scratching cards and often gets picky on what cards they want to buy. You are able to do this with Scratch Dice too! Once you find the perfect card to scratch you just need to hold your left mouse button and scratch the card. Or you can always click on “REVEAL” if you do not want to scratch it yourself. I find that button useless as it kills the way a scratch card is supposed to be played; which is with thrill and excitement. Before you start the game you need to choose your bets first. You are able to do this by clicking on the three lines located on the right side of the game screen. By clicking on this you will be redirected to a whole new window showing your bet amount and how many lines you would like to play. Remember that the more lines you play the more chances of winning. But you also need to keep in mind that the more lines you play the higher your bet would be for every spin. The minimum line to play with is 1 and maximum is 25. Once everything is decided, click on the arrow button to start the game. This game is practically the same as the one mentioned above. The only difference is that it doesn’t have the Golden Joker dice which is featured above. One feature that I forgot to mention above is that both of these slot games have a stop button. This means that you are able to stop the machine mid-spin. 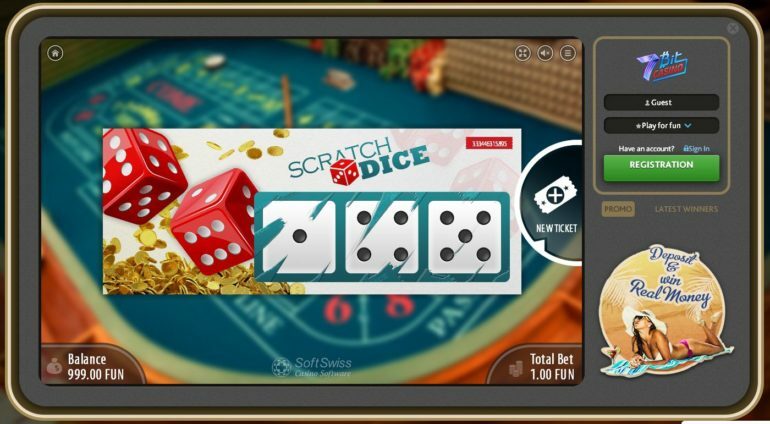 All-in-all the games in 7Bitcasino.com are responsive and they do not “lag” compared to other websites that offer these kinds of games. They do have a very short list of Dice Games, which threw me off from the beginning. But this was buffered by their game performance. They also offer “Free Games” which is great as you are able to try them out before depositing Bitcoins.